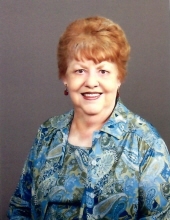 Marlene K. “Mollie” Wallace, age 78, of Knox, passed away Friday, January 18, 2019 at her home. She was born February 11, 1940 at St. Margaret Hospital in Hammond, Indiana to Charles Wallace and Hannah Amm Wallace. She was a 1959 graduate of Knox High School. After graduation she went to Indianapolis and worked there until 1964 when she went to work at Kaiser Aluminum/Rexam in Wanatah and Valparaiso, Indiana. She retired from Rexam in April of 2002. She loved pictures and doing genealogy for family and classmates. She was preceded in death by her parents, her twin sister, Darlene Wallace, a sister, Linda Holbrook, and two brothers, Dean and Dale Wallace. She is survived by two sisters, Nancy Back and Karen Keehn, of Knox, four brothers, Glenn Wallace (Bev), Bill Wallace (Ivyl), Kenny Wallace (Cindy), all of Knox, and Dennis Wallace of Hamlet, IN, 15 nieces and nephews and several great nieces and nephews. She will be dearly missed by her family and so many dear friends. Visitation will be Tuesday, January 22, 2019 from 3-7pm (CT) at M.C. Smith Funeral Home. Funeral services will be Wednesday, January 23, 2019 at 11am (CT), with visitation one hour prior to services, at Our Redeemer Lutheran Church in Knox. Burial will follow at Oak Grove Cemetery in LaCrosse, Indiana. To send flowers or a remembrance gift to the family of Marlene K. "Mollie" Wallace, please visit our Tribute Store. "Email Address" would like to share the life celebration of Marlene K. "Mollie" Wallace. Click on the "link" to go to share a favorite memory or leave a condolence message for the family.